Wear Fall colors! Nature is the best inspiration for choosing seasonal colors while staying fashionable all the time. Get inspired by the color of the leaves: shades of yellow, brown, red, and green. These are the primary colors that you can wear each Fall season without looking outdated. Add one or two vibrant colors from the Fall’s 2017 color palette that will instantly give you a stylish look and you will feel the cozy fall vibes. Fall 2017 Color trend shows a great balance of colors combining warm and fresh shades that paired with the classical fall shades add a striking touch. 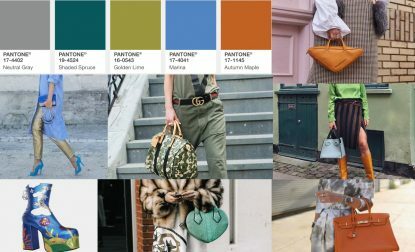 Fall 2017 color palette offers everybody a chance to express their personality and to make a fashion statement this season.